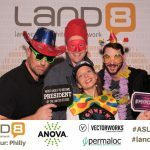 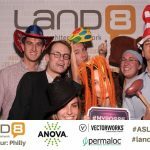 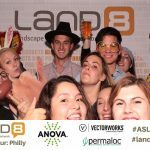 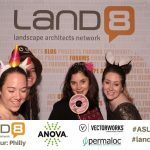 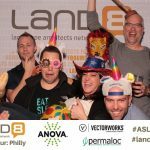 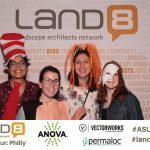 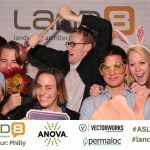 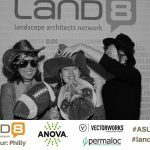 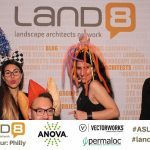 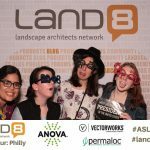 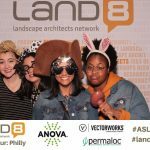 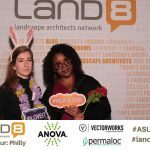 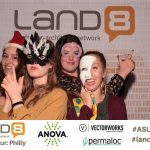 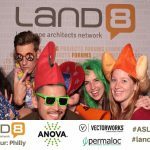 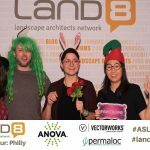 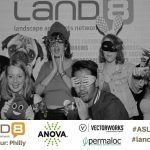 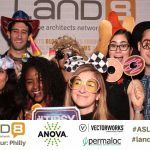 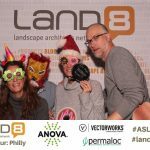 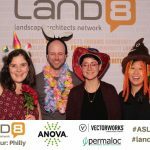 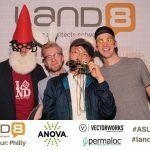 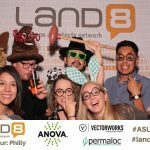 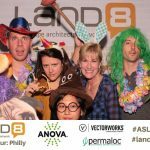 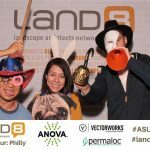 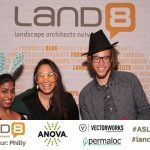 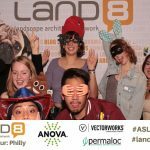 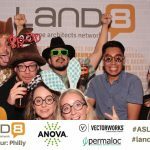 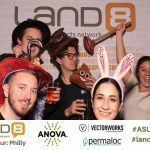 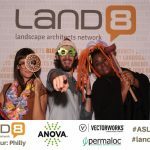 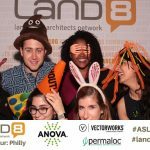 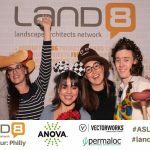 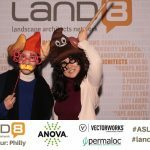 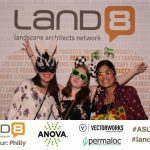 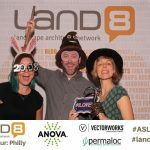 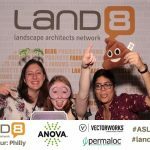 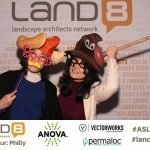 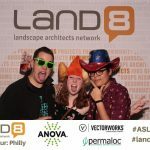 Most people reading this article are likely familiar with the ASLA Annual Meeting – after all, it is the world’s largest gathering of landscape architecture professionals and students. 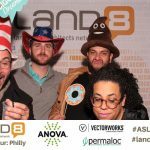 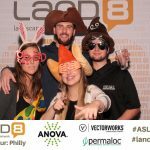 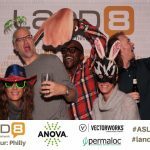 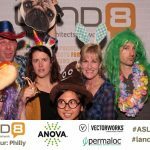 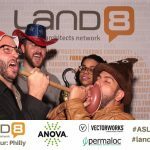 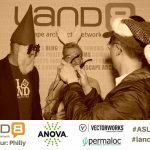 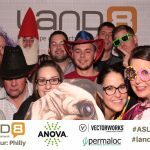 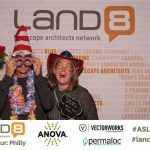 And, with over 6,000 attendees at the 2018 Annual Meeting and EXPO in Philadelphia (October 19-22, 2018. 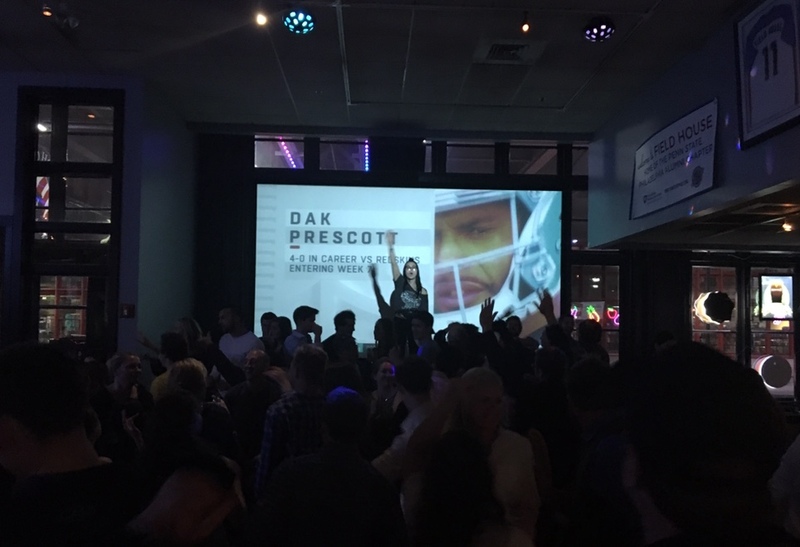 ), it’s very possible that many of you reading this article were in attendance. 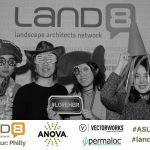 However, the U.S. Department of Labor identified in 2016 that there are approximately 24,700 people employed in the landscape architecture profession – and this statistic doesn’t even account for students, international professionals, and those employed in academia and government. 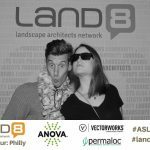 That means upwards of 75% of landscape architecture professionals and students are missing out. 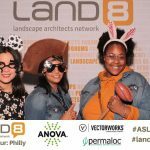 When I say they are missing out, I don’t just mean that they missed the excitement of seeing former classmates who are now spread across the country, catching up with old coworkers, and sparking up conversations with professionals across the globe. 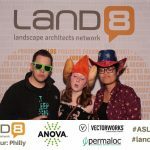 I’m not even just referring to the vibrant streetscape, public art scene, and fantastic cheesesteaks that this year’s location, Philadelphia, had to offer. 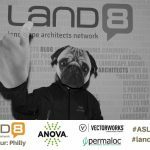 What they’re missing most are the exhilarating and inspiring messages from a diverse spectrum of industry experts. 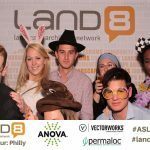 They’re missing the chance to engage in meaningful discussions to address the world’s most difficult challenges. 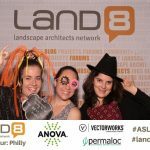 They’re missing out on the opportunity to shape the future of the profession – and we’re missing their perspectives too. 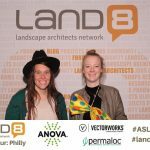 In one of the lectures I attended, titled “Turning Research into Practice: Using Research to Support and Inform Design Decisions”, speakers Emily McCoy, Director of Integrative Research and Associate Principal at Andropogon Associates, and Meg Calkins, Professor of Landscape Architecture at North Carolina State University, advocated for increased knowledge sharing within our profession. 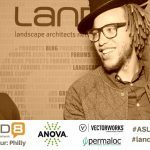 Comparing the design field to the field of medicine, Calkins indicated one area where design professionals are sorely lacking: knowledge sharing. 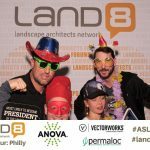 Just as we would expect doctors to willingly share their break-through medical discoveries amongst each other, we should be eager to share the standards of practice that will make our streets safer, our cities more inclusive, and our communities more resilient. 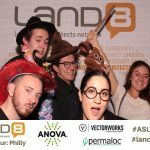 Imagine the impact we could have if we made our research accessible to other practitioners. 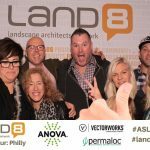 Imagine if we built on each other’s successes, and truly worked together to craft a better world. 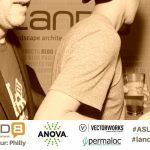 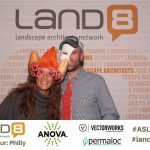 The ASLA Annual Meeting and EXPO is one of all too few platforms that allow for just this type of dialogue to occur. 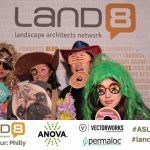 With more than 135 education sessions, field sessions, and workshops that provide attendees the opportunity to earn up to 24 professional development hours (PDHs), the ASLA Annual Meeting provides us with a platform to hear from professionals working across the world on the issues they face and trends they foresee. 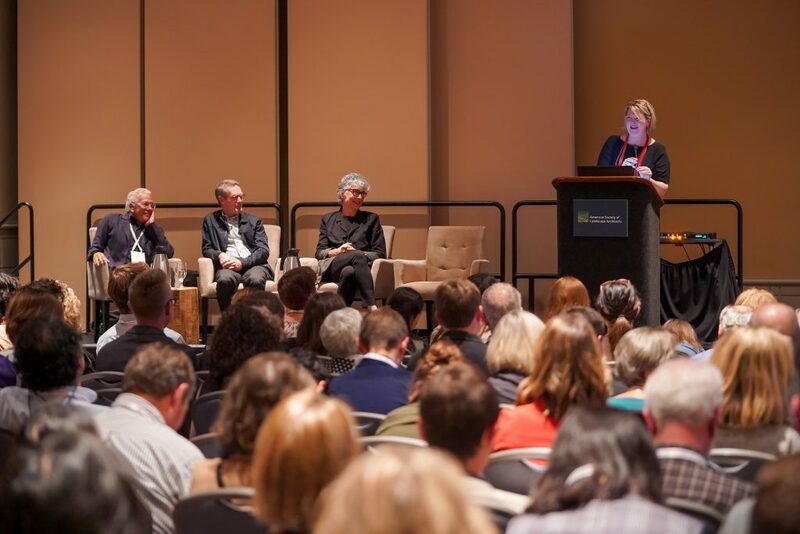 These speakers provide perspectives on a wide range of topics, from water management to active living, to business best practices and new technologies, addressing the diversity of practice types in the profession. 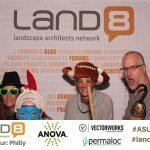 Depth of Perception – The Design Acumen of Three ASLA Design Medalists with panelists Tom Balsley, Andrea Cochran, and Gary Hilderbrand, along with moderator Gina Ford. 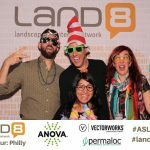 Where Land Meets Water: Rethinking the Shoreline in Urban Waterfronts with presenters Johnathan Ceci, Jacqueline Bershad, and Christopher Streb. 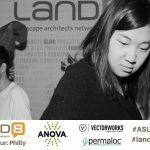 I would be remiss not to also mention the workshops and field sessions that allow you to dive more deeply into a specific topic. 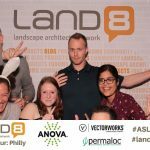 Workshops were offered for individuals preparing to take the Landscape Architect Registration Examination (LARE) exam or planning for Landscape Architectural Accreditation Board (LAAB) accreditation. 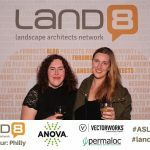 The field sessions invited attendees explore the host city in more depth, including a visit to Swarthmore University’s Scott Arboretum for a discussion on campus planning, and a sketch walk to discover historic and contemporary downtown Philadelphia. 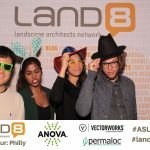 If you’re interested in exploring more session topics, several sessions were recorded and will be shared on the ASLA Online Learning website, learn.asla.org. 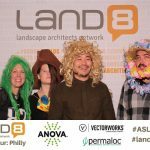 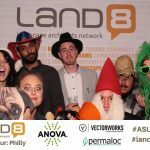 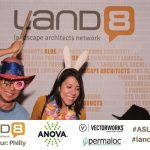 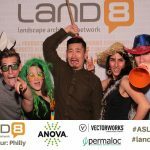 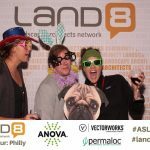 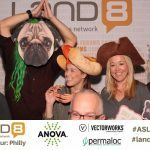 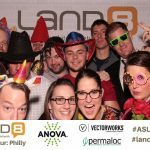 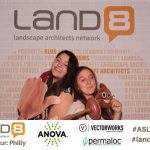 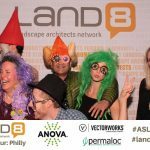 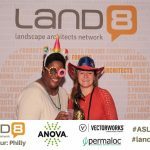 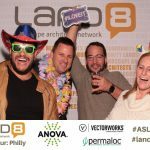 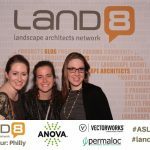 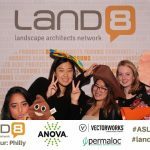 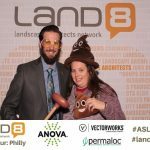 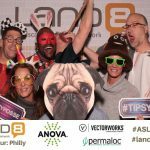 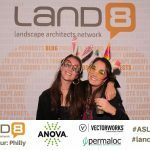 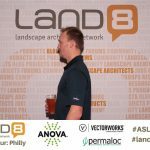 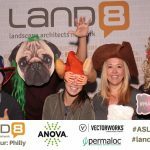 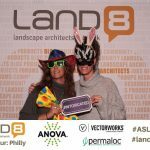 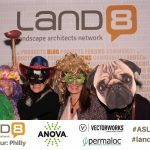 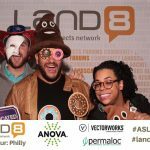 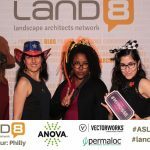 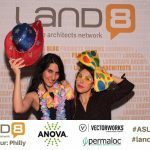 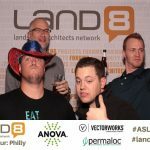 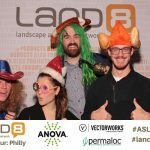 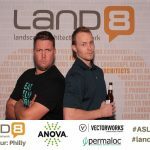 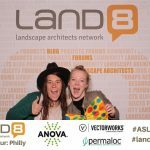 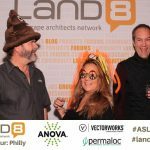 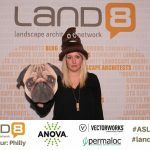 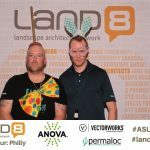 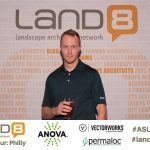 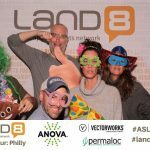 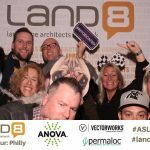 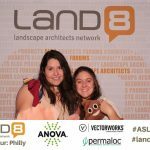 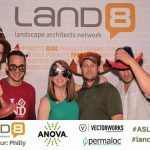 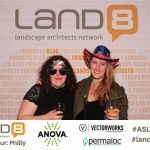 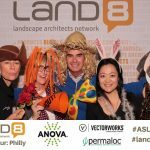 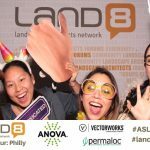 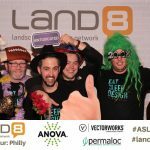 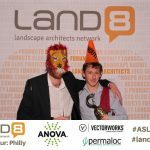 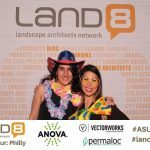 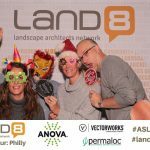 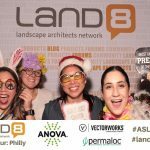 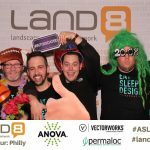 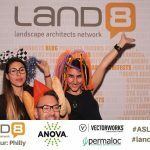 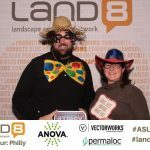 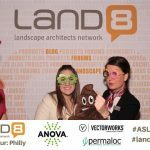 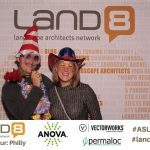 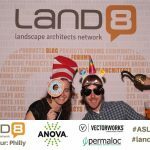 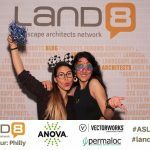 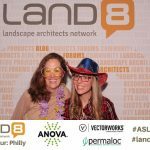 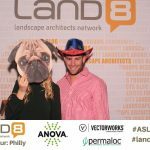 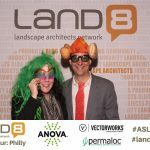 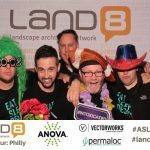 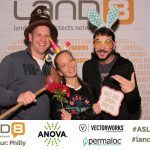 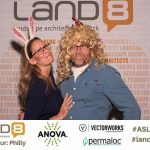 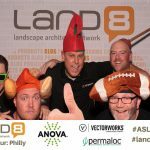 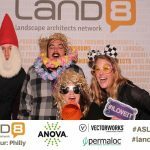 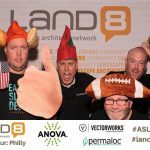 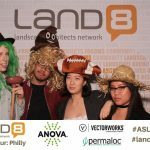 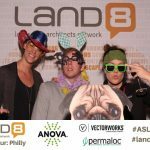 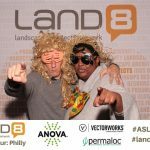 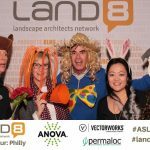 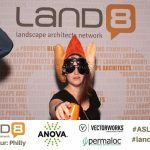 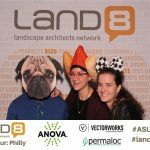 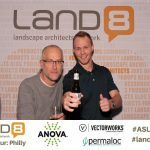 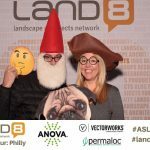 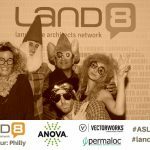 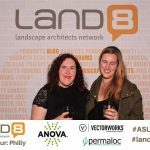 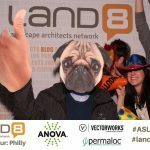 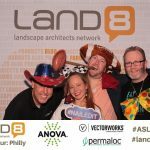 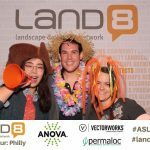 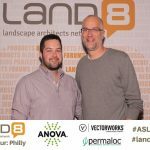 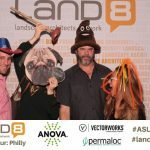 At the ASLA EXPO, over 300 exhibitors showcase hundreds of new products, services, technology applications and design solutions. 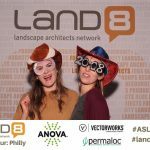 There are so many booths to explore – from furnishing and lighting innovations to landscape and hardscape suppliers. 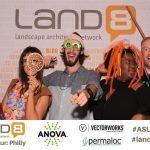 Additionally, over a dozen unique events take place on the EXPO floor, including Professional Practice Networks (PPN) Live, where professionals in the same areas of practice meet to exchange information, learn about current practices and research, and network with each other. 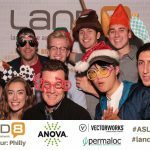 Additionally, employers are able to hold interviews with potential job seekers, and emerging professionals are given the opportunity to receive on-site critiques of their resumes and portfolios. 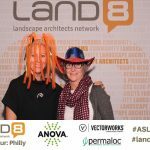 My favorite part of the EXPO: stopping by the ASLA Bookstore to meet prominent authors and have my books signed. 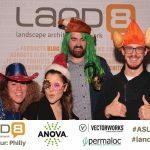 The festivities aren’t over when the last education session ends. 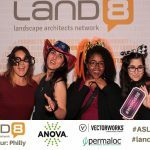 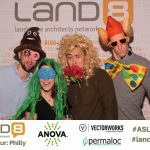 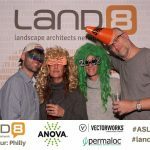 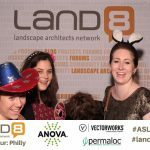 The Landscape Architecture Foundation (LAF) held their 33rd Annual Benefit, the proceeds of which support LAF’s research, scholarships, and leadership initiatives. 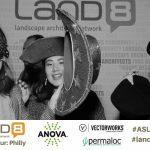 Held at the first and oldest art museum and art school in the U.S., the Pennsylvania Academy of the Fine Arts, the guest list included top designers and leaders from practice, academia, and industry. 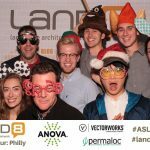 The event celebrated the first 10 years of LAF’s landmark Olmsted Scholars Program and showcased the recipients of the $25,000 LAF Fellowship for Innovation and Leadership. 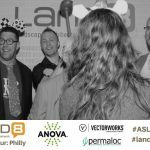 Additionally, many exhibitors have evening events that allow you to get to know the company on a more personal level, even outside of the EXPO floor. 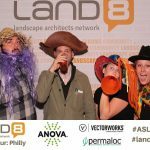 Often featuring free drinks and light fare, these events are hidden treasures. 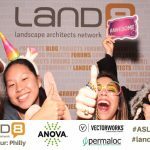 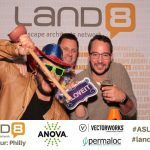 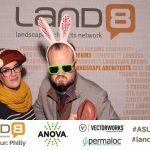 Notable happy hours inside the EXPO were hosted by Landscape Forms and Anova Furnishings. 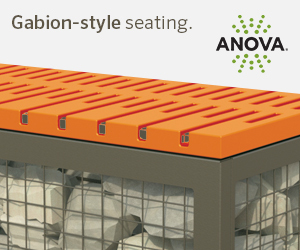 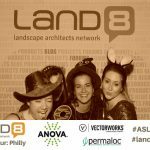 Popular off-site events are hosted by Ore Designs, Land F/X, Ironsmith, Landscape Structures, and Anova Furnishings. 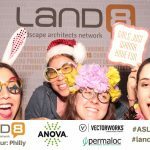 Be sure to connect with your favorite vendors for invites to these amazing free events! 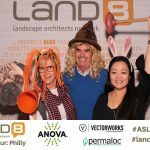 There is so much to absorb that my mind is still reeling from the conference. 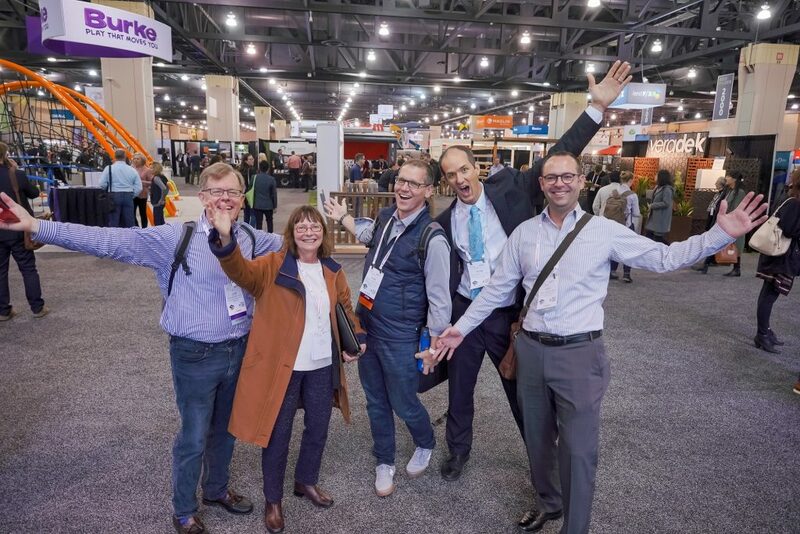 I always leave this conference feeling inspired and ready to make a positive change in my practice – and I doubt I’m the only one. 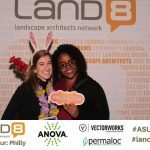 So, whether you want to advocate for more diversity in your workplace, challenge yourself and your coworkers to integrate more sustainable practices into your projects or take on a position of leadership in your community. 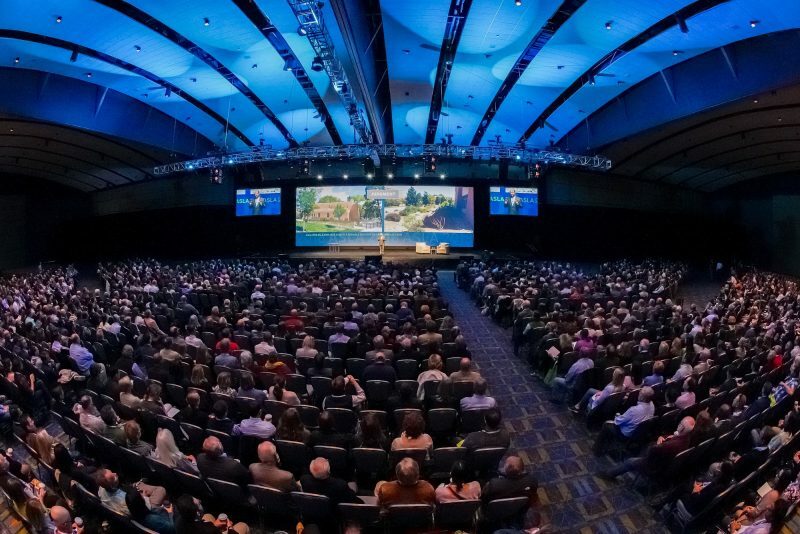 I hope the conference inspired and motivated you to rise to meet the many challenges we face today. 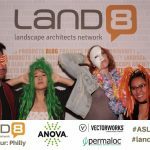 This is why the ASLA Annual Meeting is so important. 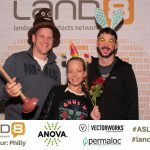 For four full days, we are able to set aside whatever project deadlines are on our plate and come to one central location to learn, celebrate, and connect with one another. 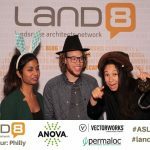 We are able to look past the current “fire drill” that consumes most of our workdays and towards a collective future. 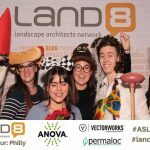 For those 75% of landscape architecture professionals and students who were missing from the conversation, I implore you to join in: The future of the profession needs you. 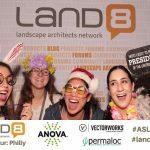 Mark your calendar for the 2019 ASLA Annual Meeting and EXPO on San Diego – November 15-18. 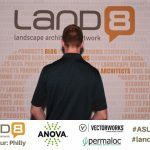 I hope to see you there. 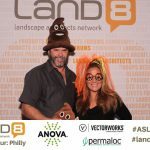 To request your photo removed, please contact us.